MY HERO Music Arts Educator Award given to GITC at the Herb Alpert Educational Village, featuring kindergartners at Foster Elementary in San Diego and 3rd grade at Vista Academy for Performing Arts in Vista, CA. Watch the tribute here. 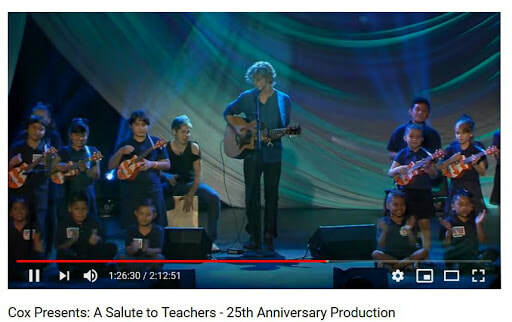 GITC students in the GITC beginning ukulele chorus were selected by Cox Communications to perform with local singer songwriter and GITC Artist Advocate Cody Lovaas at the Balboa Theater. Their parents were included as honorary guests in the live television audience. See the performance here, televised live on October 10th, 2015. Since 2011 Guitars in the Classroom has be involved the U,N. to address the Millenium Development Goals through their agencies known as the International Council on Caring Communities and Music As a Global Resource. Our work is featured and regularly updated in this global Compendium. 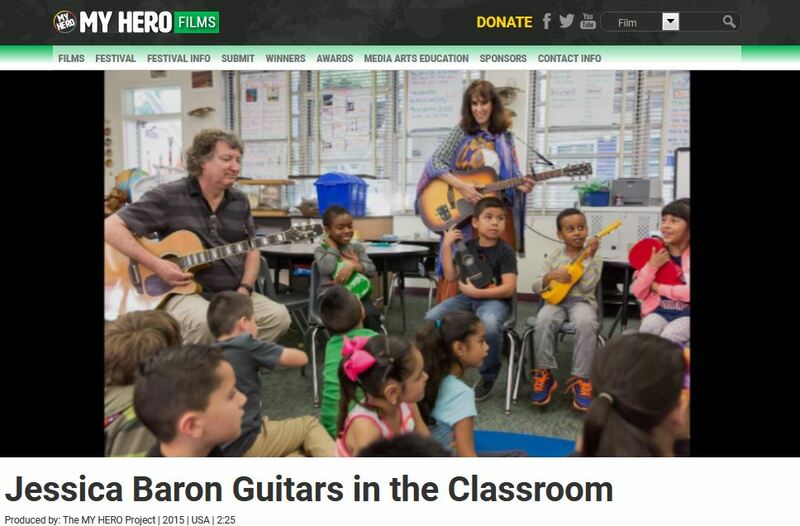 ​we even got our own 501(c)3 designation, educators had String Fever for Guitars in the Classroom. GITC served with the U.S. Military in Afghanistan to train & supply their faculty to teach our approach at the American University in Kabul.